ABViewer is universal software for working with drawings. Webcam software with store images and motion detection. Powerful and affordable CAD software with industry-standard features and 2D drafting and 3D design tools. Record whatever is displayed on your screen and save it as a video. You can easily do so with Recordzilla. Plays.tv client makes capturing and sharing your top plays ridiculously easy. PixPlant is a smart 3D texturing tool that creates and edits seamless textures and 3D maps. PreviSat allows you to view real-time information about any satellite around the World. Capture and share your best gaming action right after it happens! 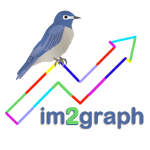 im2graph is a free digitizing software that converts graphs and plots to data, that is, to numbers. Represents a process simulation, graphing package. Panotour Viewer lets you open .PTV files in an internet brower, offline. HelpSmith is the ultimate program for creating perfect help files for any application. A utility for putting together multiple raster images (stitching). Open and View DWG,DXF and DGN with full zoom, pan, and rotate functionality.